One can easily lose himself/herself for hours in the abundance of vector graphics to be found on the internet. Things get even worse when looking for a particular free vector cartoon character and the deadline for finishing a project is knocking on the door. The good news is, we are here to help you and provide you with a short review of the best 16 free vector cartoon characters websites and ideally, save you precious time. And hopefully, save you the headache of browsing the internet in the search for perfection (or at least high-quality sites to match your needs for design). Just sit back comfortably with a cup of tea or coffee and enjoy the brief and condensed SITEseeing of free vector cartoons we’ve prepared for you. 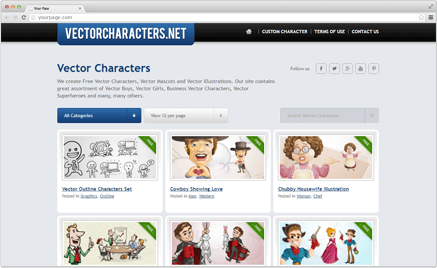 Vector Characters is free vector cartoon characters source created, supported and managed by our team at Graphic Mama. This is the place to look for if you need specifically cute, funny and engaging cartoon characters. The intuitive site categorization and structure will help you easily find what you came for. There is a great variety of Vector Cartoons in a wide range of styles, offering different options to present your ideas and projects. The fullest collections are those on the topic of business, women and men characters, animals and leisure. If you look for some professions, creatures, monsters, fairies, robots, sport, travel or even free sets, have a look. The collection of Cartoon Characters is constantly updated with new content, always with the trademark of Graphic Mama – cuteness, friendliness, and attention to detail. 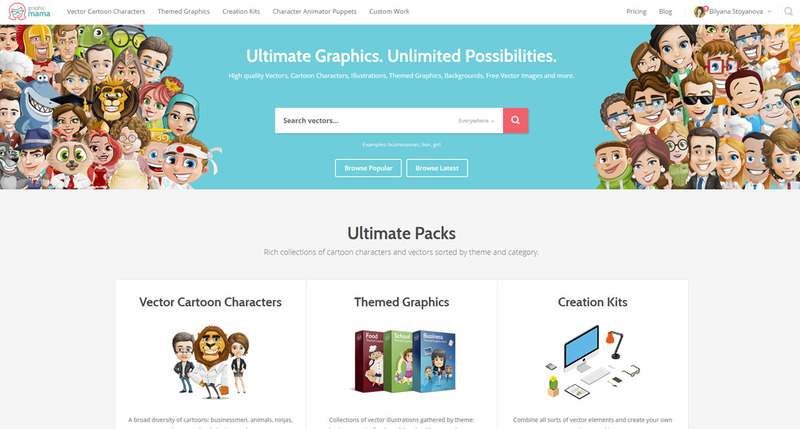 Vector Toons has several categories for offering their products, as well they have a free vector cartoon characters section. Their style is very simplified and distinctive. What you might notice is the very dynamic poses of their bundle with vector characters. What you can find useful as well, are their free sets of characters, expressing different emotions. You can find vector cartoons ranging from a golf ball, going through toasters and pots, all the way to bunnies and people. They are offering a free PDF to PNG converter and the commercial license is included. One disadvantage is that you might find it hard to find the free vectors, using their search box. They lack of categorization for the freebies, which could frustrate you, if you don’t have the time to scroll through all the designs. You need to complete a short registration too, to be able to download their free vector characters, so if you are in a hurry, make sure to spend also some minutes on that! 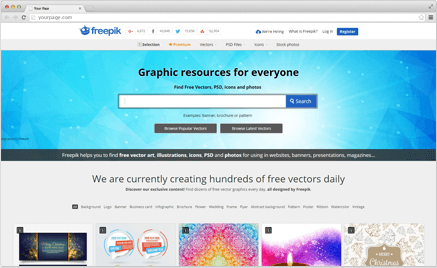 FreePik is probably the largest collection of free vector art, illustrations, icons and photos to download in AI, EPS and SVG format. The search engine has a great variety of categories to browse through, which could be confusing at times. On the other hand – might inspire you to explore different options for visualizing your ideas! If you have the time to scroll through the beautiful free vector designs provided by the site – then go for it! Just make sure to enter in your search “cartoon” and “character”, so you don’t get lost in the huge amount of graphics. Having that in mind, you will find a wide range of styles and themes of free character designs. Vecteezy is well-known website for vector graphics and they have a great variety of vector cartoon characters. The team behind this website has done a good job in categorizing the search results for their Character Designs. Whether you are looking for a cartoon people, backgrounds or animals, you get nice filtered results. Even if you look for a particular cartoon character look – you will get a rich overview of that same character, but in different styles, expressions and poses. When you click on something that caught your eye, you even get suggestions of what else could be of a help for you. What we like about Vecteezy- it is big, but is fast to work with! 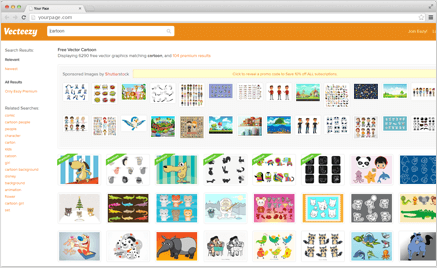 What is great about the website, is they keep the number of free vector cartoons higher than their premium. Which, of course, is great news for you! Not only they are a huge source, but also most of their content comes for free! Pixeden has a variety of services, all of them with high quality and nice previews. They have a number of free vector cartoon characters to download as well, which come in full collection. What is good about their designs, is that they come in different styles to choose from. You can also play with their sets of character designs and customize them for your needs. You can notice, that they offer themed freebies around holidays – such as Halloween and Christmas sets. You can easily find them on top of their search results. It is worth mentioning, that their manga characters are one of the most downloadable characters currently online – with over 155,000 downloads for their first volume and over 90,000 for their second. 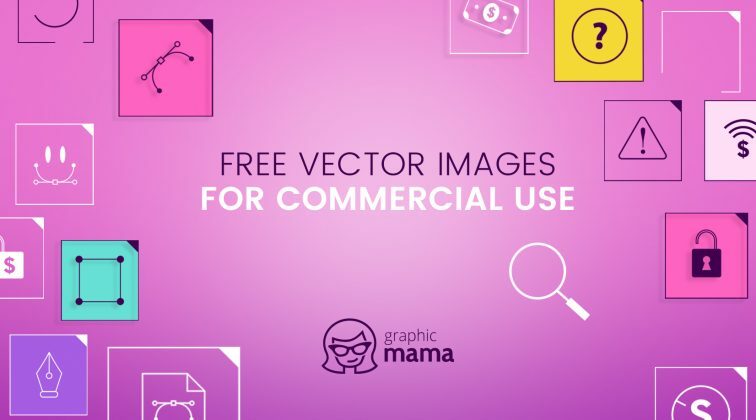 123 Free Vectors is another vector graphics source, offering Free Vector Cartoon Characters to download, submissions from other resources, also offering their own art alongside. The categorization is not very clear, but you can still navigate easily around the website and find fast what you are looking for. The quality of the most of the cartoon vectors is satisfying. If you like a particular design, when clicking to download, you will be redirected to the source website. So, you are given an opportunity to explore a little bit more, before making your informed choice of cartoon vector. It took us a while to spot this diamond in the rough. What we give credit for here is the selection of quality free vector cartoon characters. When looking for a character on this website, we suggest that you use keywords such as “free” “the-character-you-need-here” and “vector”. They have taken care of their search and what you get is nice filtered results, with variations in style designs. The results are nicely presented in simple card design, very friendly to scroll through. Be careful though, because some of the Character Designs are available only for non-commercial use, and you should look for notions of this in the description of the sets. 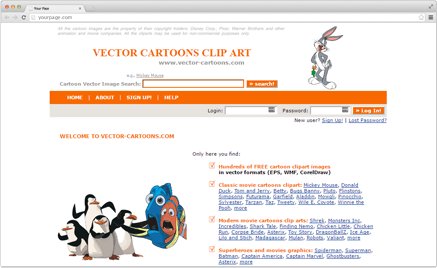 Another website to search free vector cartoon characters for your projects is Free Vector VIP. They have a nice categorization, so it would be easy for you to find the needed vector designs. They also have a tag cloud and related vectors sections, which could be a source of inspiration for you and help you find the right design for your project. 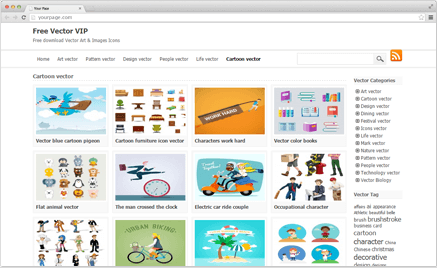 The process of downloading their free vector cartoon characters is super easy – you just click on the download button under the design and voila! – you get the .rar file. 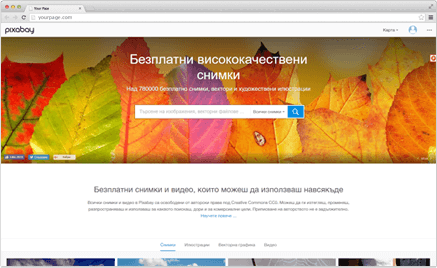 The website welcomes also designers to submit their free copyright vectors at this website and enrich their collection even more. Note, that the provided vector designs are mainly for educational and learning purposes and their property of their respective owners. Another inconvenience might be, that the “read me” file in the .rar file could come in… Chinese. So use it with understanding and care! Vector Cartoons is a great source for free clip art, a non-profit personal project, inspired by the author’s childhood and the love for cartoons. The files offered for free download are compatible with Adobe Illustrator and Corel Draw and you can find free vector cartoons with characters from classic and modern movies and cartoons. How cool is that? You should have in mind though, that the free sources on this website are exclusively for personal use. You can use them for personal posters, documents and presentations, cups, stickers, calendars, etc. You need also to make a registration to be able to download. 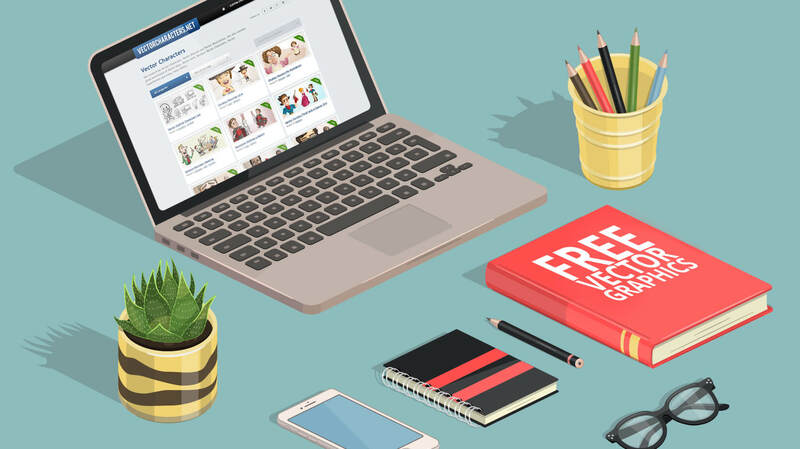 What you will love about GraphicStock is that not only they offer free vector characters, but they also show in their descriptions the main colors used in their designs. This is very convenient if you are looking for particular color schemes and certain feel in your project! Another interesting thing about them is their choice of categories – you can find vector art under categories such as cultural, health and science, nature and wildlife. That’s not very common for the rest of the free source we came across on the web. They also have a nice scale preview of the character you are considering downloading and similar images to under it, to give you more options. Again, you need to complete a registration, in order to enjoy their .EPS files. Although the quality of the free vector cartoons may vary, you will have a broad variety of characters in different styles to choose from. 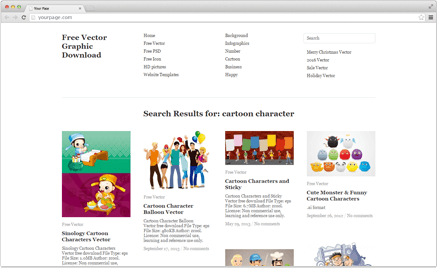 With this site we would recommend you to browse for free vector cartoons by category and not by their search box. We tested it, and in the first case, we got better results. It is a nice touch, that once clicked on their category about vector characters you see relevant themed art first. Currently, you have a great variety of Halloween and Christmas designs to choose from on their first result pages for cartoons. You can also find both famous character vector designs and other artists’ own cartoons. You will have to read their conditions for use of the free downloaded sources. Some of them need proper crediting of the author, etc. Make sure to have some minutes to read these terms. 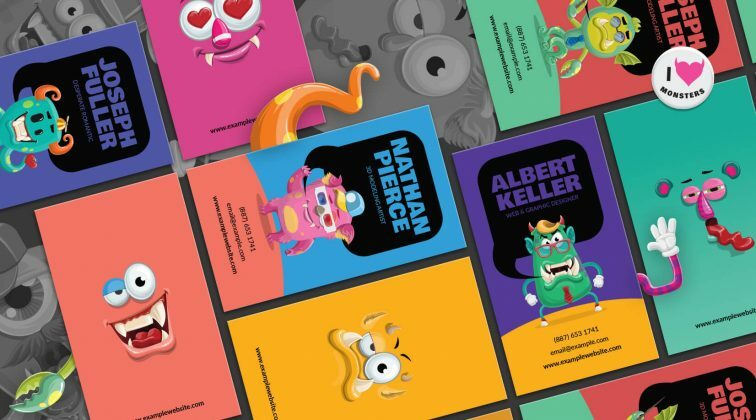 Pixabay is an enormous source of illustrations, graphics, and what interests us the most in this case – free vector characters. You can also find our wonderful designs on this platform, and enjoy them for free, as many other people already do. They don’t have a category specifically devoted to Cartoon Characters, but sure they have a lot of categories to browse through. You need to sign up for free download here. Clicking on the image you like, you can see very fast in the description if it is for commercial use as well. If you are unsure of how to use the downloaded sources from this website, they put the effort in explaining in a clear way how the everything works. 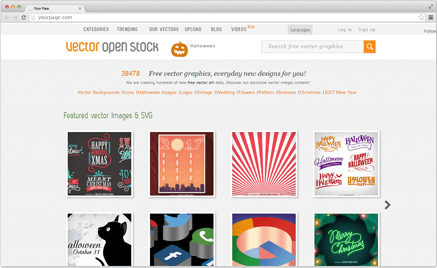 Our next suggestions is a large source of Vector Graphics, called DesignShock. They produce vector cartoon characters and many other vector graphics, with high quality and consistency. One of their advantages is, they offer huge sets of characters. It can help you to bring variety to your project, and keep it consistent in style. They also made beautiful previews of their products, giving you a pretty good idea of what you will get when downloading. Their designs, though, are free only for personal use. The source offers direct download of their vectors and has nice filters, which you can use to sort out what format files you need, which could be handy. You can find lots of free vector cartoons in different styles and categories, so nearly only your imagination is the limit! They also have an SVG editor and generator to help you achieve the right look for your projects. Another thumbs up is for the permission to use their vector art for commercial use, for free, without crediting. You may notice, that most of their vector cartoons are with instant download, without the need for registration. The only time spent, would be giving the appropriate credit to the author/source of the art, which is not a lot of a headache! If any questions and doubts about the licensing, it might be a good idea to contact their team. Under their “about us” menu they have additional information of how you should use the free sources. Again, another great source for free character designs. 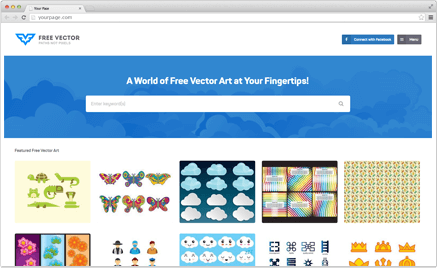 Anyway, we like their featured vector art section at their landing page, which could be a good starting point for your brainstorm and inspiration for your project! Last but not least is our GraphicMama! Did you know, that even at our premium website for vector cartoon characters there are free vector graphics? Who knows – you might find exactly what you need! Some of the cool designs are flat men and women avatars, eyes, hats, desk accessories. You can also find infographics, patterns and much more! 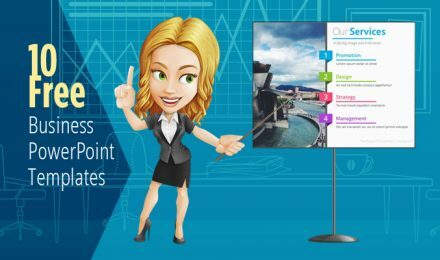 One thing is for sure – the quality, as always, is up to highest standard, with thorough descriptions, very readable previews and you can have them in a variety of formats! Hope this post helped you to sail safely through the sea of vector designs. We hope it also gave you some directions of what you might expect from the uppermentioned websites! Our own conclusion is, that there are very few websites, which are exclusively offering free vector cartoon characters. 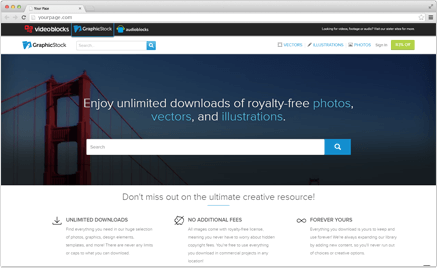 It still takes time to browse through the sea of sources for free vectors and find what you need, fast. Although free character designs could be a great source of inspiration and used in a variety of projects, you might consider as well using our premium cartoon characters. That way, you will ensure persistent quality for your projects and will set high standards. With premium, you can also count on fuller collections and improvise even more with your designs. You can expect the same high quality and professionalism from us when you stress about meeting tight deadlines. Share your tips in the comments, won’t you? This way, we, at Graphic Mama, will cook up something even better for your taste next time! Thanks for sharing this informative post! 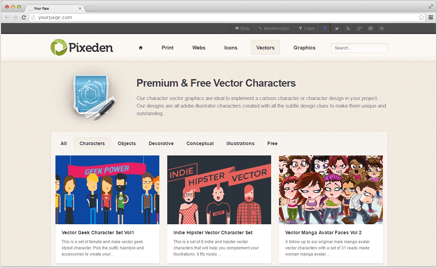 about 16 great sources for free vector cartoon characters. I think Freepik and Pixabay are the best websites for vector designs. 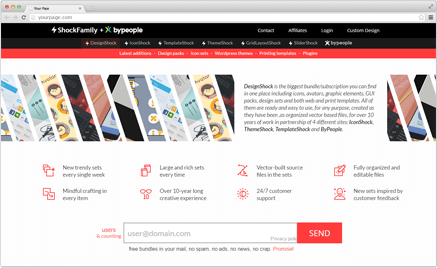 Thanks for sharing this great sources for amazing vector graphics.